Y’all know my friend Melanie that blogs over at Big Mama? Well, I adore her. Years ago she went from a blogger crush I had to a real life friend! And I just don’t love her, I also love her books….and she’s written another one! The newest book is a devotional for young girls, and it’s called Fearless Faith. 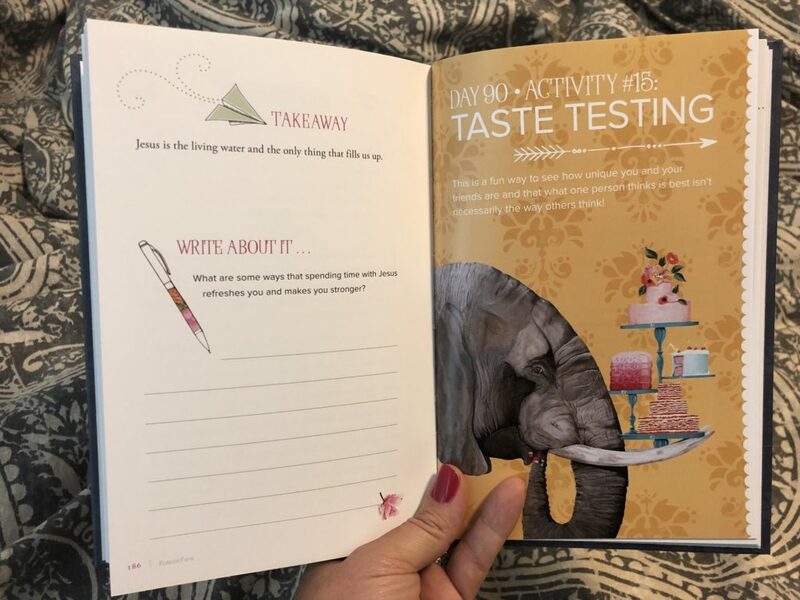 The book includes 100 daily devotionals that help young girls in their walk with God. The devotions will meet young girls right where they are. Buy this book for your daughters, your nieces, your neighbors, and every young lady you know. It’s geared for girls ages 8-12, and it will be such a blessing to them. The cover is gorgeous (seen above), and the inside is beautiful too. I can’t think of any young girl that wouldn’t absolutely love this book. 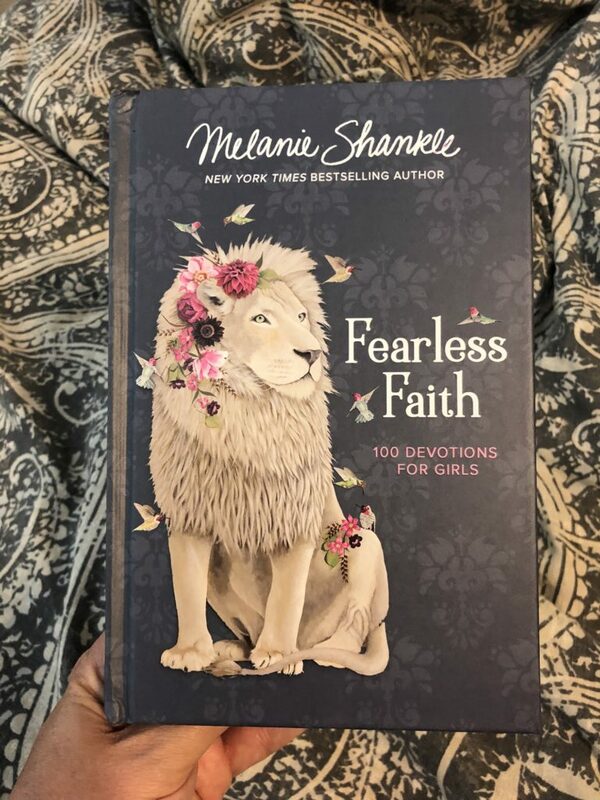 Click HERE for the Fearless Faith, and click HERE for all of Melanie’s books. I was going to pick a favorite for you, but I truly love them all! (And for those of you that read this blog regularly, you know that I TYPICALLY DON’T READ. I’m not proud of it, but it’s just a fact. Melanie’s books are truly the only non-devotional books I’ve read in the last several years, and I absolutely love them.) Sparkly Green Earrings is about motherhood, The Antelope in The Living Room is about marriage, and Nobody’s Cuter Than You is about friendship. You will laugh and cry all the way through them, and you will want Melanie to be your best friend. I promise you, you will love them. And her. Did y’all see my post on Wednesday? If not, hop over and check it out now! 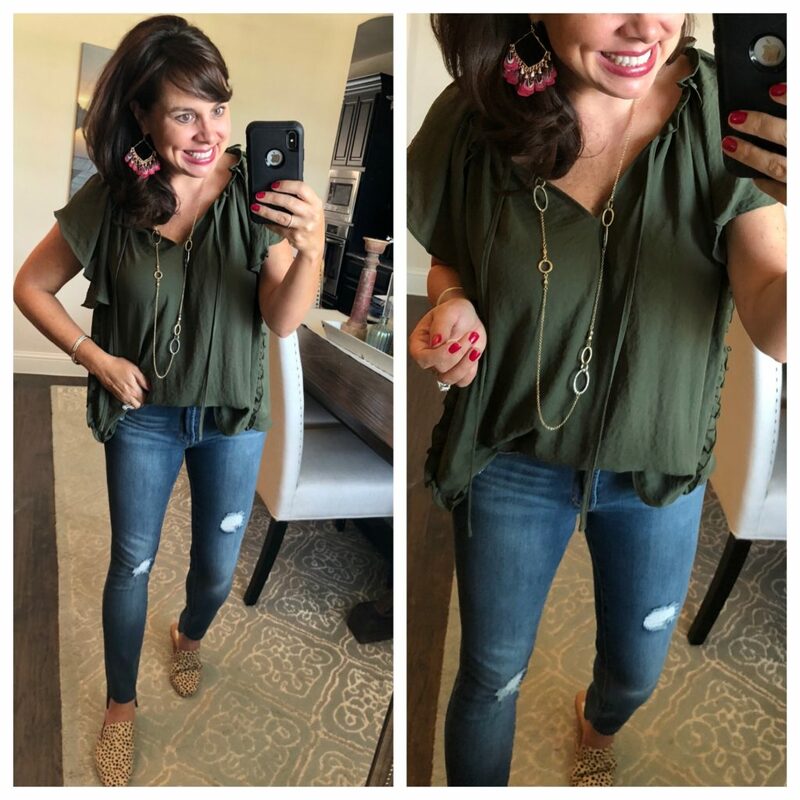 I talked about my love for each of the pieces in the outfit below, and I think I made quite the case for this $39 blouse. 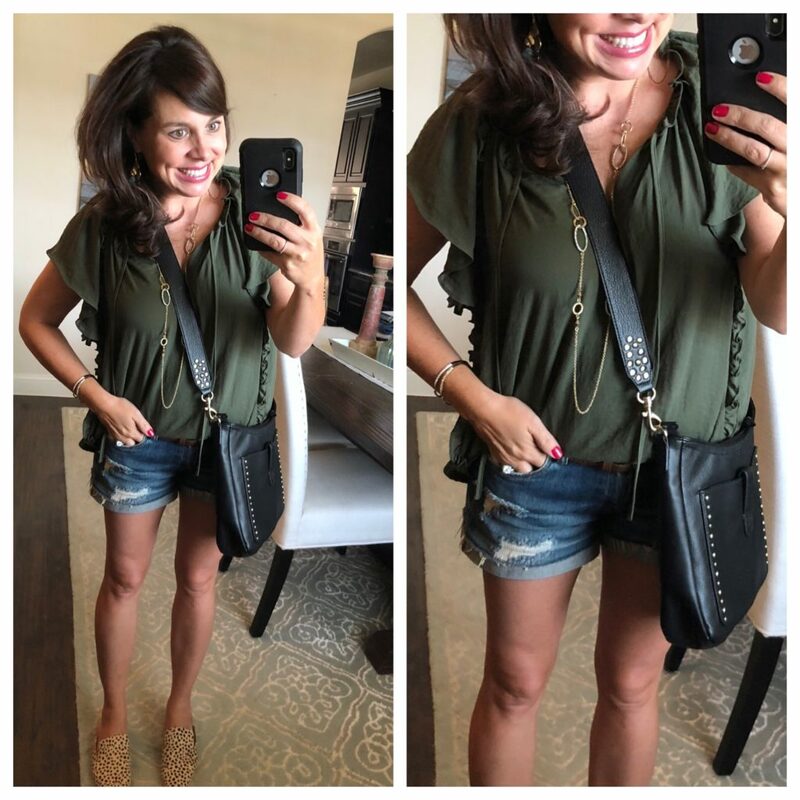 So many of you already have and love the top, and lots you messaged me saying you own multiple colors! Y’all are my people. I also received lots of questions about how I care for my top since the manufacturer suggests “dry clean only”. I actually do dry clean mine, but I know I’ve had readers that have stated otherwise. 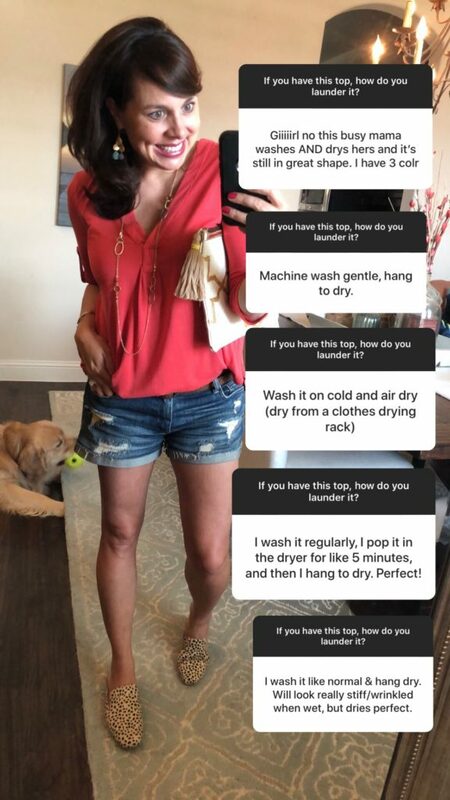 So, I put the question on instagram stories, and I’ve included just a handful of the answers I received on the photo. Seems like NOT dry cleaning the top is definitely a viable option. I’m going to have to try it for sure, and hopefully those of you who want the top but DO NOT want to dry clean it can now have peace of mind that you don’t have to! For all of you Colleen Rothschild devotees out there, their BEST SELLERS SALE is happening right now! I use the Daily Cleansing Balm and the Complete Eye Cream daily. I rotate other products in the sale too including the Vitamin C Treatment Complex, the Mandelic Acid Radiance Serum, and the Clarifying Detox Mask. 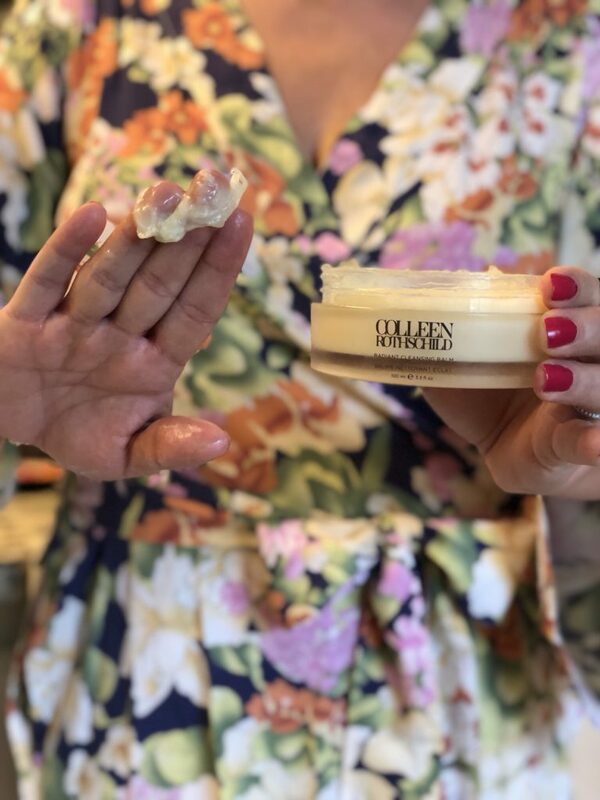 If you want to see me talk about the products and show them to you, head to my highlight reel on instastories and tap the circle entitled “skin care” where I show you some of my favorites. Click HERE for the blog post titled Colleen Rothschild Told Me To, where Colleen herself recommended a regimen for me. I’ve got great news, girls! I received e-mail after e-mail this week asking if the Sims stone necklace deal could be activated again. Well, the answer is YES!!! They are letting it ride through the weekend! Use the code STONESTEAL to get the necklace for ONLY $20 (regularly $42). If you click HERE, you will see me feature the turquoise, white, and orange necklaces. Below you will find outfits where I’ve styled the pink necklace and the black necklace! Remember, with a deal this phenomenal, they will make AMAZING gifts that don’t break the bank! Think birthday gifts and Christmas gifts for sure! And if you didn’t already get your kiddo’s teacher something, what a nice surprise a necklace would be on the 2nd week of school! One of my Top 5 purchases of the entire summer (the striped sweater!) is now on sale, and then an additional 40% OFF! I’m wearing a small, and it still has a little room, so size down if you would like it more fitted. I’m wearing my regular 27s in the shorts, but size down if between sizes. Size up a 1/2 size in the sandals that are also ON SALE! LOFT (where the sweater is from) is actually 40% OFF EVERYTHING right now! Click HERE for new arrivals. Okay…..so one of these next items I’m featuring is a TOTAL SPLURGE at $95….and one of them is a total steal at $11.10. Can you guess which is which? I got them when I went to the Manda Strong event last week, and I just thought they were stunning. Why are they so expensive? The feathers are hand-dyed and hand-cut. They truly are like pieces of art. So yes, I splurged. Expect to be seeing them all fall and winter long. I’m going to be getting my money’s worth, y’all! Ha! And this blouse is ON SALE for $11.10. Seriously, ELEVEN DOLLARS AND TEN CENTS. Make sure you size down, because I’m wearing an x-small and I still have some room. It comes in lots of color choices, and it’s a great piece to have for everybody….but especially for those of you that work in an office environment. 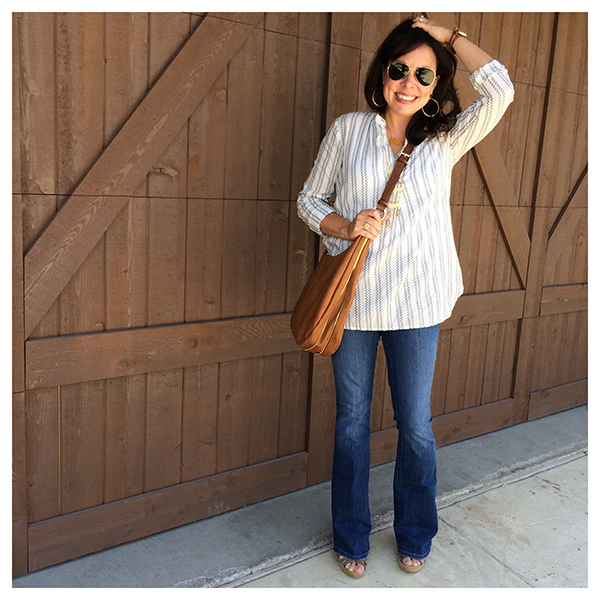 And these step hem jeans are 40% OFF, which makes them ONLY $41.40!!!! 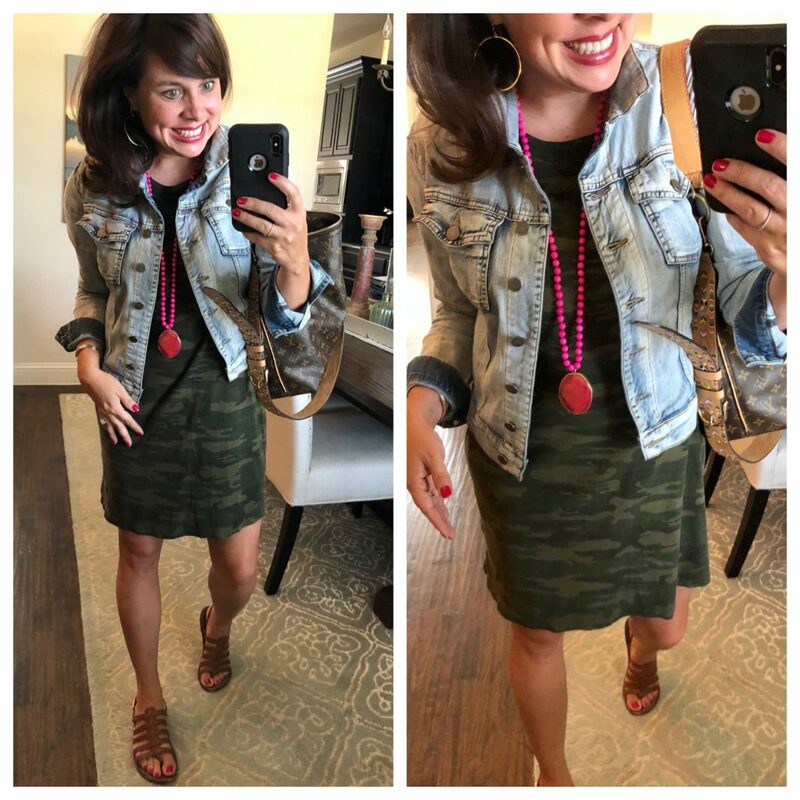 blouse/ feather earrings/ necklace / step hem jeans/ leopard print mules And to prove to you that I’m really loving the ELEVEN DOLLAR BLOUSE, I also wore it with shorts, and just switched up the jewelry and swapped the jeans for shorts! The next thing I want to talk about is THIS FABULOUS BAG! Now, here’s the sad news……..I found out just yesterday that this color is no longer available online. However, I still wanted to show you the bag for two reasons: 1) You might be able to find one at your local JCPenney and 2) It’s a great example of how you can find some amazing products at JCPenney if you’re just willing to put in a little time! I’m realllllllllllllly hoping that they are going to restock this bag. The stud detailing on it is AWESOME, and it really reminds me of a Rebecca Minkoff bag. 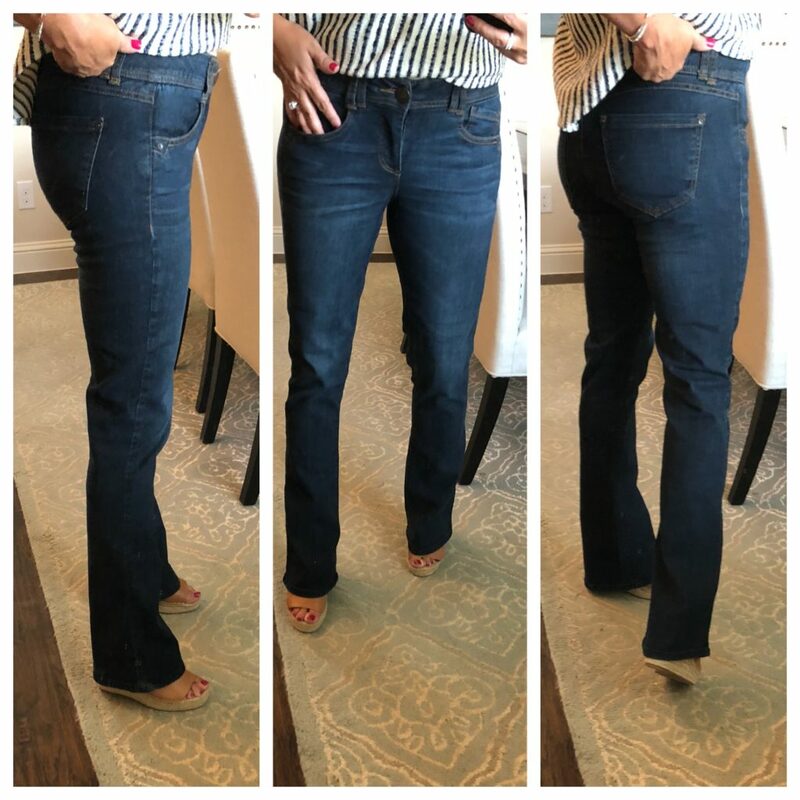 These Itty Bitty Boot cut jeans have been totally re-stocked! And I consider them a MUST HAVE for fall for the 2nd year in a row. You will see be seeing them A LOT. I’m almost 5’4″, and I wear the regular 4s with like 3 inch wedges booties. The Petites are much too short on me. Let’s end on something that should bring a smile to everybody’s face. 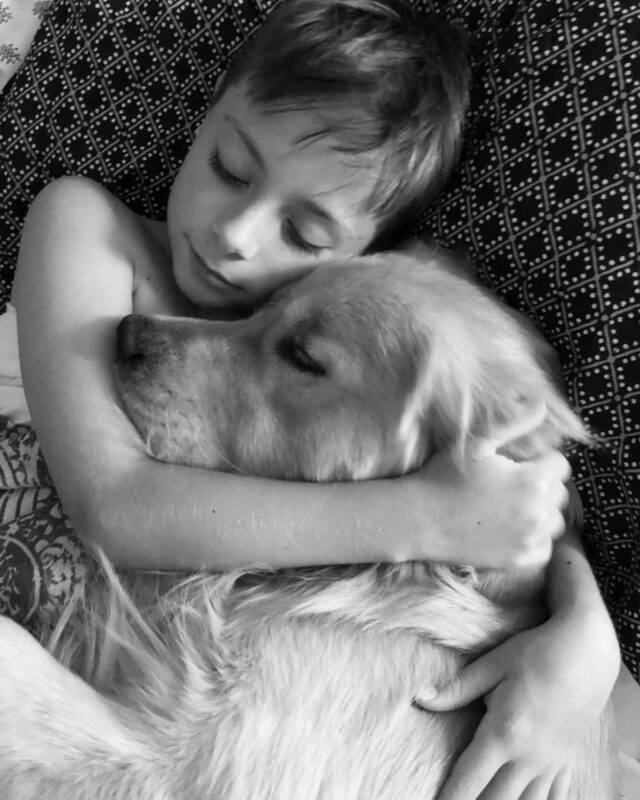 A boy and his dog. This is Carter with Buddy during our “Snuggle Sesh” that we have about 20 minutes every night before everybody heads to bed. He rotates what pup he snuggles, and it’s just about the sweetest thing ever. One of THE BEST Friday Favorites EVER! You’ve tempted me with that sweater and I finally ordered this morning, along with some very discounted shorts. Thanks for the recommendations! Ordering this devotional right now for Presley! And that red top is my favorite on you! So cute! Due to your rec, I bought the CR face scrub and LOVE IT! It smells so nice and really does work so well! Thank you, thank you! Hi, Jenny! So it was a different LUSH top? Love Colleen Rothschild skin products thanks to you and your mother!! That picture of Carter and Buddy is just too much. So adorable!!!! Some great finds and buys. You must be psychic. My weekend “to do” list included emailing you to beg for your to arrange for another Colleen Rothschild code. Thank you—just in the knick of time.